It’s been two years since I threw the twins a Paw Patrol Birthday Party and they still love those rescue pups! They asked for the Paw Patrol My Size Lookout Tower for Christmas and more toys for their birthday last month. 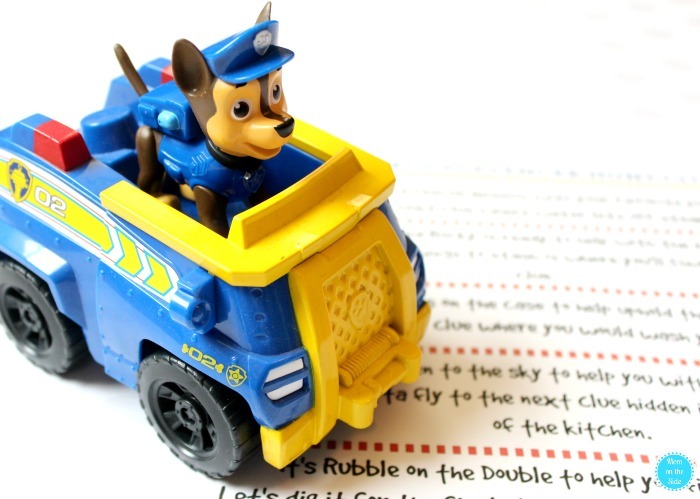 These printable Paw Patrol Scavenger Hunt Clues were perfect for leading to Paw Patrol gifts! 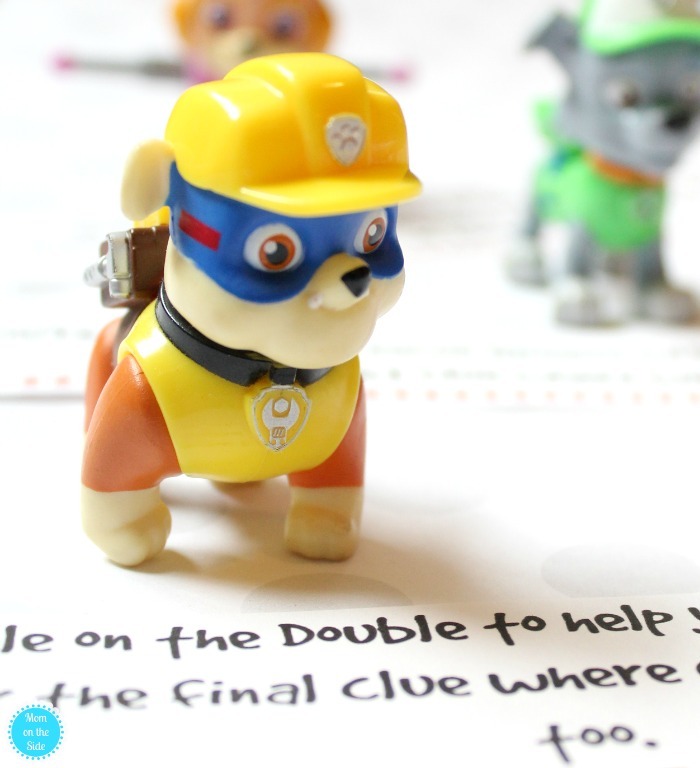 With a total of six clues, kids will have fun with this Paw Patrol Scavenger Hunt mission. Rubble, Rocky, Chase, Marshall, and Sky join in the fun with the clues that will have kids running from the stove, washer and dry, freezer, trash can, and bathtub. All great places to hide presents if you are using this scavenger hunt for a birthday party. 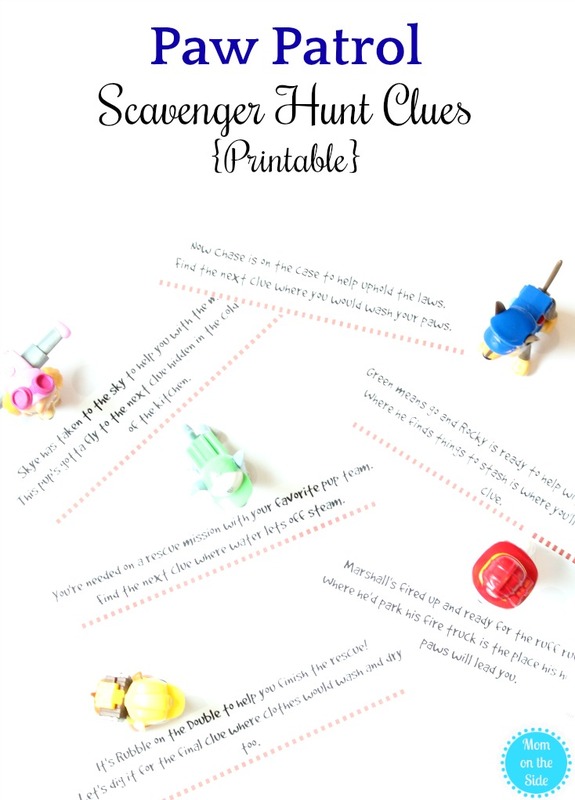 Here are the clues and you can also grab the printable scavenger hunt clues below for a quick Paw Patrol game for your kids! Great idea! Thanks for sharing the printable! THANK YOU! The clues you provided were just what I needed. I altered them to fit my outside location and thought you could use them too. You’re needed on a rescue mission with your favorite pup team. Skye has taken to the sky to help you with the mission. Marshall’s fired up and ready for the ruff ruff rescue! Now Chase is on the case to help uphold the laws. It’s Rubble on the Double to help you finish the rescue. Green means go and Rocky is ready to help with the mission, too!